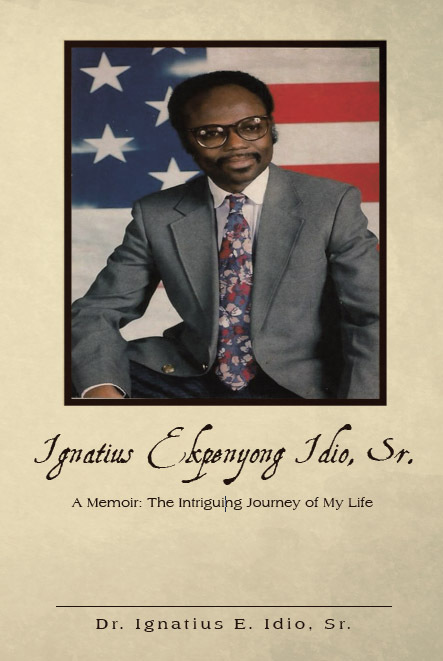 Ignatius Ekpenyong Idio, Sr., is a touching storytelling of the author’s personal experiences and struggles. With the help of people who came into Dr. Idio’s life, the author achieved success at every phase of his journey. Ignatius Ekpenyong Idio, Sr. will inspire all readers, young and old to dream big, aim high, achieve and even exceed expectations of others. 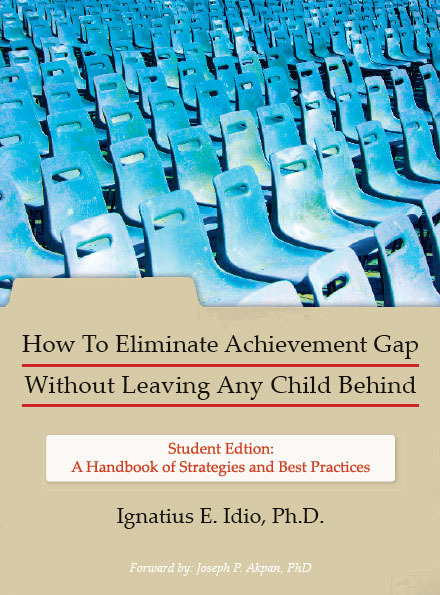 How To Eliminate Achievement Gap Without Leaving Any Child Behind Student Edition: A Handbook of Strategies and Best Practices was designed for college and university instructors, teacher education majors, and classroom teachers, especially the first year teachers who will need the ready-to-use strategies to teach the curriculum subjects right from the first day of school and throughout the school year. There are eleven proven, research-based, and practical strategies for teachers to use with their students. There are graphics and charts available in black line masters for teachers and students. The test banks and answer keys are for the teachers or instructors to use to assess student learning. 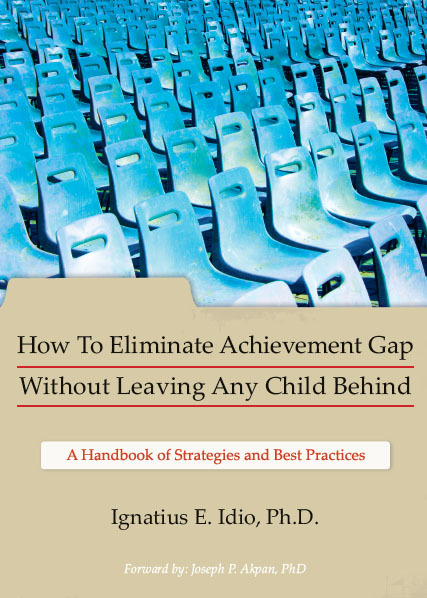 How To Eliminate Achievement Gap Without Leaving Any Child Behind Teacher’s Edition: A Handbook of Strategies and Best Practices was designed for college and university instructors, teacher education majors, and classroom teachers, especially the first year teachers who will need the ready-to-use strategies to teach the curriculum subjects right from the first day of school and throughout the school year. There are 11 proven, research-based, and practical strategies for teachers to use with their students. There are graphics and charts available in black line masters for teachers and students. The test banks and answer keys are for the teachers or instructors to use to assess student learning. 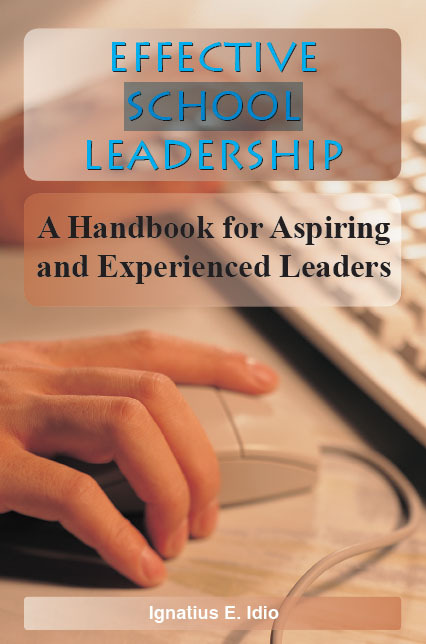 Effective School Leadership: A Handbook for Aspiring and Experienced Leaders provides the proper ways and guidelines for administrators of educational institutions to accomplish the giving of quality education to students. Readers of this book has a competitive advantage in leading schools, as sufficient knowledge on the right methods of administration of schools is necessary to effect beneficial changes within one’s institution.